As the head of the household, it's up to you to make sure your entire family's needs are met. In order to do that, you need to be extremely diligent when it comes to money management basics. This is not something that will happen by accident. Instead, you must plan for it and work toward it. The first step is to set up your "office." Gather all of your bills, a calculator, a pencil, and your checkbook. I would also recommend that you grab an old binder that you can use to keep track of your financial data, and a shoebox for storing paid bills. Print a copy of the chart "Paying Down My Debts" or make your own. For now, leave the fourth column of the chart blank, and store it in your "Financial Data" binder. Wolf: Let's say a single mom still shares a credit card with her ex. What should she do? Irby: No. 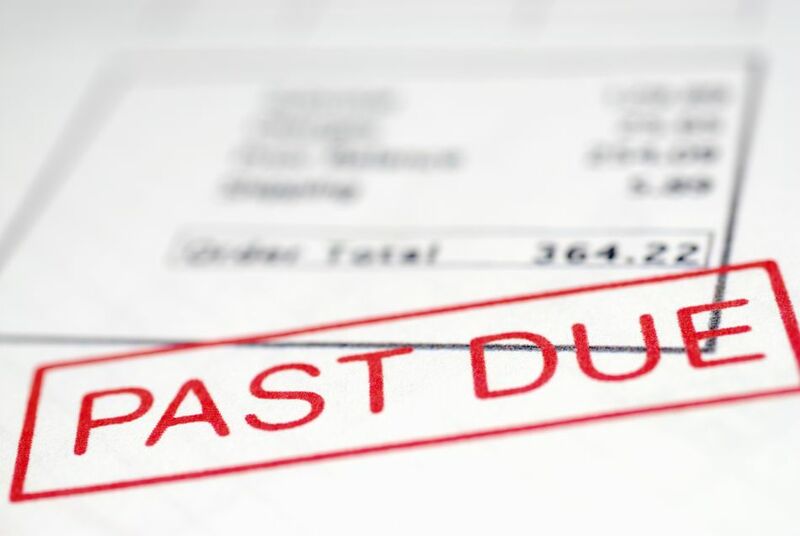 If you’ve made an agreement with your ex to split the debt payments on accounts that include your name, and your ex misses a payment, it’s going to hurt your credit. If the ex fails to pay all together, the creditors and collectors will come after you. Not even a divorce decree can change the terms of a joint credit card agreement. In the credit card issuer’s eyes, you’re just as much responsible for post-divorce accounts as before. Wolf: What about situations when a couple's divorce decree mandates that one individual must pay off the joint credit card debt, but that person fails to do it? Wolf: What about other accounts, such as utilities and cellphones? Wolf: What are the top 5 areas that you think people should look to first when they're trying to cut their expenses? Huffstetler: For single parents looking to stretch their child support dollars, creativity is the key. Look to children's consignment shops and thrift stores to buy your kids' clothes instead of department stores; sign them up for parks and rec-run activities instead of privately run activities (which will always cost more); and don't feel like you have to make up for being a single parent by buying them extra things—it's you they need, not stuff. Pay off the debts that charge you the highest interest first. Bob Hammond, author of Life Without Debt, recommends that you pay off the debts that are charging you the highest interest first, since borrowing from those creditors is costing you the most money. "Concentrate on paying off the high-cost debts as soon as possible," Hammond advises. Irby agrees. "Highest interest rate debts cost the most money, especially when those debts have high balances. So you'll save money on interest charges when you pay off those high interest rate debts first." However, there are exceptions to this general rule. Irby notes, "If you’re likely to get discouraged because it’s taking a long time to pay off that high interest rate debt, you can start with the lowest balance debt. Getting some small debts paid off will motivate you to keep going." Aim for paying more than the suggested minimum payment, in order to pay off your debts as quickly as possible. Meanwhile, continue to pay the minimum balance due on all of your other debts. Record what you intend to pay toward each debt on the debt chart you made in Step 1. Now that you know where you stand financially, and you've created a plan for paying down your debts, it's time to make sure that you're making any other necessary adjustments so that you can keep up with your plan. And this means creating a budget. I know this can be intimidating, but I'm going to make a suggestion for you: Sign up for Mint.com. It's a free financial software program available on the Internet, and it will basically do your budgeting for you. It will create a visual pie chart showing how much you're spending each month on housing, gas, food, entertainment, and more. This way, if it turns out that you're spending a lot more on food than you really should, you can begin to make the necessary adjustments to get your spending under control. If you would prefer to create your budget the traditional way, allotting a certain amount of money to each spending category, I've created an online budget calculator you can use, which includes categories for child support and other details specific to your life as a single parent. Now that you've worked out a plan to pay down your debt, and you've created a budget, it's time to determine your needs moving forward. One of the things that I want you to know is that the ball is in your court. You determine where this goes from here on out. But unfortunately, you can't do that if you're ignoring your financial health, right? So the fact that you've come this far in the process of getting a handle on your finances tells me that you're determined to make the changes you need to make in order to provide for your family's future. So go ahead and ask yourself these questions. So much of single parenting is learning to roll with the punches and be creative in the face of adversity. If, indeed, you need to make some pretty major changes, now is the time to do it. Don't incur any more debt where you are. Be resourceful, follow through, and do what you need to do to turn your financial situation around. Once you know where you stand, you'll be ready to set up a savings account. You can do this through your regular bank, or begin investing in a mutual fund that pays interest. Before you know it, you'll have an emergency savings plan in place, to protect you in the event that your car breaks down, or your home needs a major repair. Unfortunately, all of the work you've already done in steps 1-7 will have little lasting value if you don't change your attitude toward money. Now is the time to become even more frugal and learn to live within your means. Stop imagining that more money is going to pour in tomorrow—through finally collecting on unpaid child support, winning the lottery, or getting a promotion. If those things happen, great! You'll be even better off. But living as if they're going to happen is causing you to spend money you don't have. Instead, force yourself to make purchases with cash only. Do not continue to pay outrageous interest payments toward credit cards for purchases you don't absolutely need. You can get by without that new furniture, right? What else could you skip, in the interest of spending only what you have right now in the bank? Check Freecycle before you make another major purchase. Someone else may be giving away the very thing you'd like to buy! When you're getting ready to buy something specific, look for it on eBay first. I buy a lot of my clothes, new-with-tags, through online auctions! Forget trying to keep up with "The Joneses." You already know your value; don't get caught up trying to "prove" your worth to others by having "just the right" house, car, or appearance. Finally, when you do go to make a big purchase, step back and give yourself a few days—or even a week—to think about it. There's no reason to suffer through buyer's remorse and try to justify to yourself purchases that you really can't afford. Think it over carefully and make those purchases, when necessary, with cash. This is also a good time to write out your grocery shopping list and check what's on sale at your local grocery store this week (either using the store's Web site or the sales circular that comes in the newspaper).